What is your filling project, and how can we help you today? IC Filling Systems have supplied bottling, labelling, and packaging equipment for water, soft drinks, beers, wines, spirits, kombucha, food sauces, chemicals and toiletries since 1994. 25 years of focused experience. We solve problems. We are a family business that listen to our clients, act as technical advisors and deliver customised solutions tailored to your specific production requirements. Our vast worldwide experience in Filling and Packaging of liquid products offers you a chance to tap into our extensive databank of project management and technical knowledge. Just ask us for advice. Based in the UK, USA and Italy, IC Filling Systems provide a wide range of filling and labelling solutions to meet with the specific demands of our global clients. All machines conform to CE safety standards, and we also offer UL & CSA conformity. Operating internationally, we manufacture every machine in our modern factory in Italy, providing the latest technology. 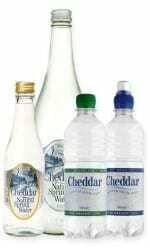 As a result, we produce only the highest quality, economic bottling, labelling and packaging equipment. Think you can't can? Yes you can can! The 661 EPV Microblock can uniquely be configured for canning or bottling. 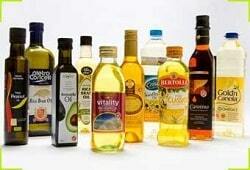 IC Filling Systems have been supplying bottling and packaging machines to small and medium size users since 1994. We have advised many clients on how to integrate a complete bottling line and they have been happily filling for over 25 years. We can include a layout with bottle conveyor system, a rinsing-filling-capping machine block, a labeller, a ink jet coder, a shrink wrapping multi-pack machine, a palletiser and a depalletiser, and whatever else you require. Manufacturing takes place at our high-tech production units in Italy, using cutting edge filling technology and certified high quality components suitable for food use. We supply our equipment all over the world, and have operations in Italy, the USA and the United Kingdom. We solve problems. We'll deliver the right solution for you.